The Weight of Mountains is a biennial filmmakers platform, residency, and collective. Every two years a curated selection of visionaries venture to remote, overwhelmingly present, or peripheral locations worldwide. Filmmakers work with their own individual ideas as conduits and conjurors that respond to evocative notions of site-specifics. Artistically, TWOM explores location, landscape as character, the intersection of humanity and environment, or the reciprocal notion of psychogeography as an ongoing rhetorical investigation into the metaphoric weight of mountains. To varying degrees, filmmakers work with communities, locals, lore, subtleties, and stories inherent to their own practice and that which inevitably arises from the specific regions they are immersed into. 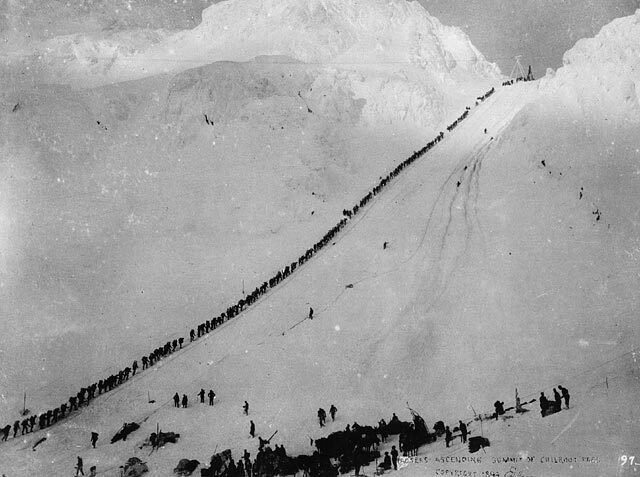 Over January 10th – April 4th The Weight of Mountains will be held in Dawson City, Yukon Territory, Canada. This is in winter with maximum low temperatures reaching -40 degrees that quickly turns to Spring as the winter retreats and the sun returns. We will collaborate with the Klondike Institute of Art and Culture with talks, symposia, workshops or events and present with the Dawson City International Short Film Festival. Two sponsored places exist for filmmakers facing prohibiting obstacles. Is there anything that may affect your written communication within this application? ie. english as a second language, dyslexia etc. There is a word document available to download on the website http://twom.is/the-residency-program which can be used for drafting or editing your answers. Please save your answers in the word document in case of technical website errors. Submit final answers below. 4. Please discuss a recent project in relation to a future idea that helps you to explain a path you are (potentially/actually) taking with the direction of your work (this idea does not have to be done with TWOM). Your character reference can come from someone who knows you professionally or personally. A character reference should give an insight into your character, approaches, or attitudes. Working language for TWOM on-site is English. We encourage those with a different first language to apply. APPLICATION DEADLINE : MIDNIGHT, MAY 8, 2017. All shortlisted applicants will be contacted for a Skype interview in May, 2017. Residency held: Jan 10 – April 4, 2018. - Accommodation (1 hotel room per person) at the Westminster Hotel, Dawson City for duration of the residency (Jan 10 - Apr 4). Shared kitchen, shared bathroom facilities. - Presentation of film work through collaborative efforts of The Weight of Mountains, the Klondike Institute of Art and Culture, and the Dawson International Short Film Festival. - To present artist talk + collective local community screening + one workshop exchange for fellow TWOM filmmakers. Any additional workshops for the local Dawson community is negotiable and welcomed. - To create a new film work of one's own focus and creative pursuit on location. This piece (or negotiable outcome) to be presented with TWOM and Dawson Film Festival, March 29 – April 1, 2018. May also afford additional opportunties depending on works direction and filmmakers goals for other festivals. - The Weight of Mountains (TWOM) will sponsor 2 filmmaker placements for applicants with exceptional talent and situations that may prevent them from attending without a sponsorship. This only applies to the $2000CAD program and accommodation costs. Filmmakers will still need to seek ways to cover travel and living costs. - TWOM can not provide cash grants for production, travel, or expenses. - We encourage filmmakers to investigate grant opportunities or incomes before final selection notification of June 9 – if your grant deadline is close to this date feel free to contact melody@twom.is for queries or selection updates.